In 2011 I took some family photos of the Avila’s. Ale, my good friend and Marisela’s daughter contracted me to document some beautiful moments of the family at their home. Ale was leaving to serve our country in the United States Air Force and was longing to get some images with her parents. That day, I met some of the most loving people. Marisela, is one of those people. This blog is especially for her. 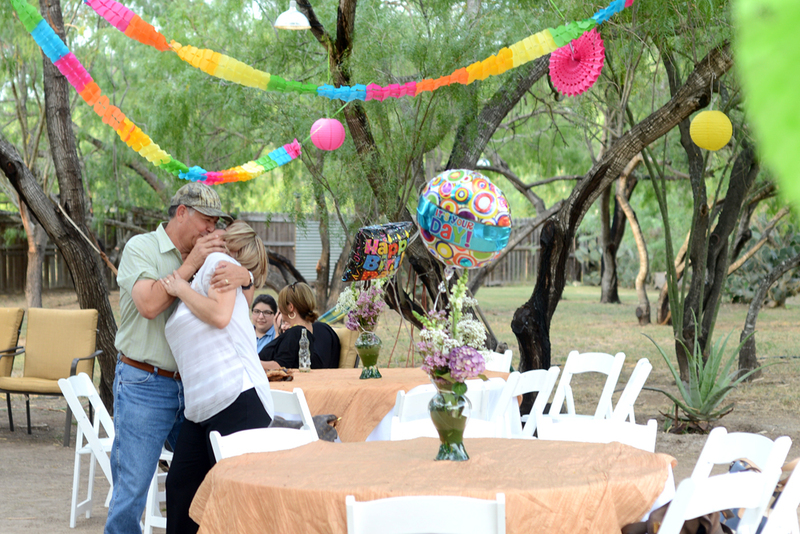 Yesterday I had the pleasure of photographing Marisela’s 50th celebration. 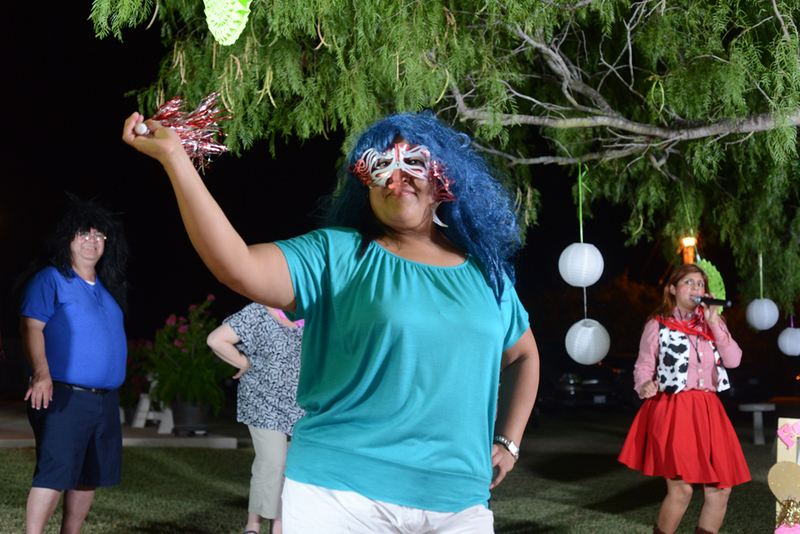 The party was held outside of her home. 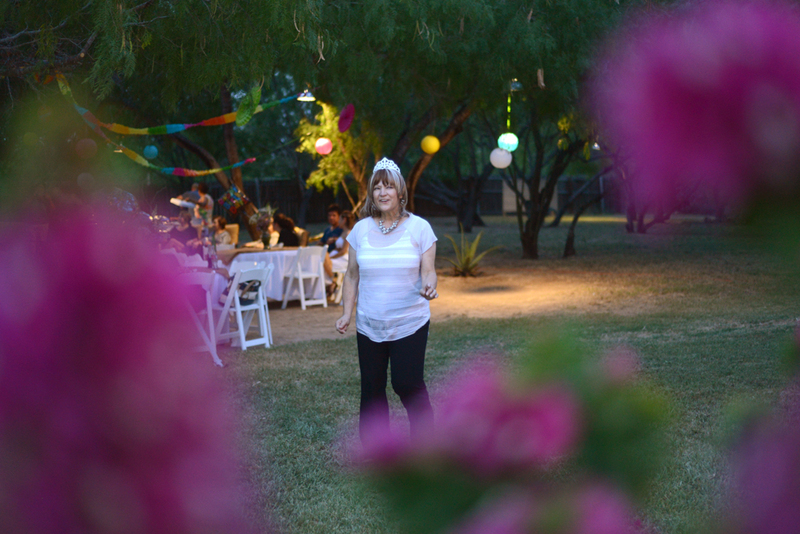 As you drove into the residence you could see mesquite trees decorated with colorful paper lanterns, floating birthday balloons tied to vases full fresh flowers, and a BBQ pit in full action. 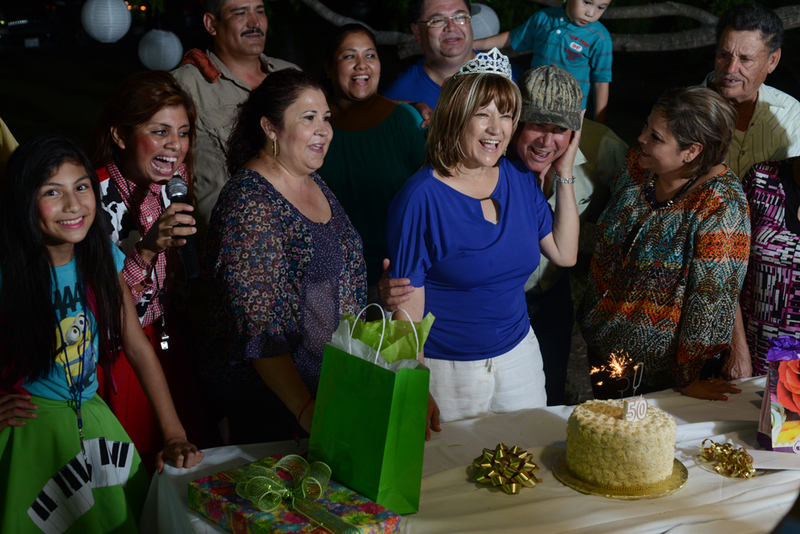 As the guests trickled into the party each person greeted Marisela with the most love and affection. My partner Adriana Euresti and I felt very welcomed and at home to be greeted in the same manner. The birthday girl was the life of the party as she played catch with her nephews, danced around, and celebrated like no tomorrow. One would have never guessed her age with such energy and youth! I love being part of small home parties like this because you get embedded into the family. Because the environment was so inviting, the images reflect just that! 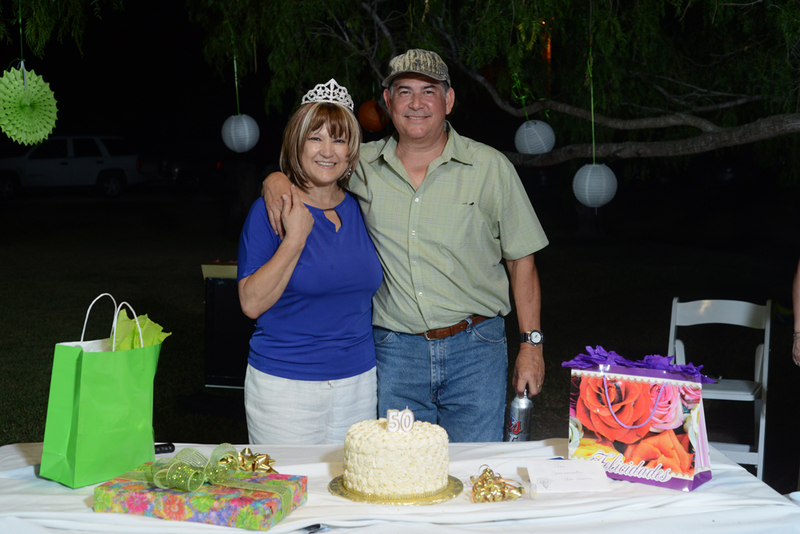 These moments are just a small glimpse of what was a festive family birthday gathering. ← Do You Photograph Weddings On Sundays or Weekdays (Mon-Thurs)?